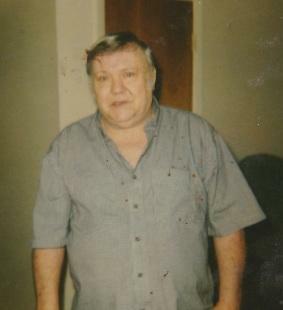 Mr. Ernest Bain, 69, of Alexandria passed away on November 7, 2014. He was born on May 30, 1945 in Murfreesboro, Tennessee. His parents were the late William Manny Bain and Eddie Mae Bain. He was also preceded in death by a son, Donnie Bain and a brother, Howard Bain. He is survived by a son, Lonnie & Toni Bain of Murfreesboro; three daughters, Lisa & David Bierbaum of Tullahoma, Teresa Mears of Louisiana and Cheryl Benson of Murfreesboro; two sisters, Nancy & Lee Watley of Murfreesboro and Mary Hill of Smithville; eleven grandchildren and numerous great grandchildren. Mr. Bain was a member of the Pentecostal Church. He enjoyed singing in church and helped by filling in as a preacher. He was talented to be able to play the guitar. One of his favorite singers was Johnny Cash. His favorite song by far was Folsum Prison Blues. Ernest loved to play it for family and friends. He worked as a roofer for Home Roofing Company for many years and also laid blocks. Ernest liked to work with his hands and didn't mind hard work. He also enjoyed the outdoors, camping and fishing. He was always happy to spend time with his grandchildren and great grandchildren.